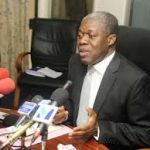 Vice President Paa Kwesi Amissah-Arthur at the week-end urged educational institutions to brace themselves up to train more employable skills for the oil and gas industry. He said major projects in that sector were on course, and Ghana’s rapidly expanding economy would open up employment opportunities for the nation’s graduates when those projects were completed. Speaking at the 10th congregation of the Methodist University College in Accra, the Vice President stressed a sound and balanced education that influences an individual’s competitiveness and meets the requirements of the global village. “… Today’s graduate must be prepared to meet the demands of the national economy and must also possess the ability to compete against other graduates produced in the other parts of the world’s,” Vice President Amissah-Arthur said at the congregation at which 1,258, including 153 post graduate students, who had successfully completed their studies, were honoured with certificates and degrees. The Vice President said the globalised world required that higher education provided training in those areas of the economy that were growing and not to be stuck with curricula that were no longer relevant. “For Ghana to compete effectively in the knowledge-based global economy, we need the best educated workforce in the most critical disciplines,” Vice President Amissah-Arthur said, and called on the graduates to give back to society as to show appreciation to the investments made by hundreds of people in their education. He commended the Methodist Church and other private institutions for their role in delivering tertiary education to students, who would have been denied the opportunity due to lack of space in the nation’s public universities. The Vice President reiterated the commitment of the Government in the provision of quality education through the removal of “school under trees” at the Basic Level; a proposed building of 200 community day high schools, and the distribution of laptops from the Basic to the Tertiary Levels. Additionally, he said, the Institute of Professional Studies at Madina, near Legon, had received a charter to operate as a full-fledged university; and mentioned the two new universities that Government had established in the Volta and Brong Ahafo regions. He again commended the Methodist Church for the efficient oversight role it had played in the affairs of the University, attributing it to a positive philosophy and theology of education, backed by a good administration and management practices as well as good moral principles that are instilled in pupils and students at all levels of the educational ladder. He invited private developers to invest in accommodation facilities on the Dansoman campus or in other areas that would encourage the accelerated growth of the University. The Very Rev Prof S. K. Adjapong, Principal of the University, announced that the Distance Education in Religious Studies and Ethics would start in September 2013, with the hope that it would be able to offer some of it other academic programmes in the Distance Education mode in due course. He spoke of physical developments in the Tema and Wenchi campuses, and said the University had also established the Wesleyan Centre for Continuing Education, which would provide remedial classes for candidates for WASSCE students with deficiencies in their results. The Very Rev Prof Adjapong advised the graduates to exhibit excellence, morality and be willing to impact positively by upholding virtues that can stand the test of time.